Subaru Outback - Subaru Outback Forums > Vendors > Heuberger Motors > Subaru Rocks ! We're the top rated non-luxury brand !! Audi, in the midst of a scandal over parent company Volkswagen AG’s diesel engines, took the top spot in Consumer Reports’ latest annual report card on brand reliability and performance. Consumer Reports compiles the overall brand scores using road-test performance for models it tested, in addition to reliability results for each model. It then averages the scores of those models to rank each brand. Several brands were not included in this year’s results, including Alfa Romeo, Jaguar, Maserati, Ram, Smart and Tesla, since Consumer Reports tested fewer than two vehicles from each brand. The magazine said it also changed the way it calculated 2016 scores, negating easy comparisons to results in 2015 and previous years. Nine of the 10 top brands are foreign, with General Motors’ Buick brand the top domestic brand, in 7th place with an overall score of 74 points. Most domestic brands from GM and Ford Motor Co. -- dogged by what the magazine called “inconsistent reliability scores” -- finished in the middle of the pack. Fiat Chrysler brands finished near the bottom of the rankings. Two of its brands, Fiat and Jeep, finished in the bottom two spots for the second consecutive year, while Chrysler finished 26th out of 30 with 58 points and Dodge finished 25th also with 58 points. Fiat finished last with 38 points, while Jeep was 29th with 43 points. German luxury brands Porsche and BMW finished in the top five, while Mazda, Toyota, Kia and Honda finished in the top 10. Mazda fell from second to sixth, while Toyota fell from third to eighth. Each entry in the top 10 finished in the top 10 in 2015. Acura, which finished No. 2 in 2014 and No. 11 in 2015, fell to 19th in the rankings with an overall score of 64. Infiniti finished 22nd with a 63 overall score after finishing No. 8 in 2014 and No. 17 in 2015. The biggest year-over-year gains included Ford, which rose from 24th place to 16th and a 66 score, and Mercedes-Benz, which rose from 21st place to 14th and a 67 score. Consumer Reports also today revealed its latest top picks in key segments. The redesigned Ford F-150 was named best pickup for the first time since 1999 and giving the brand its first top pick since 2012. “By eschewing traditional steel body panels, Ford created a pickup that weighs less, enabling it to be quick off the line and fuel-efficient,” the magazine said. The F-150 and the Chevrolet Impala, winner of the large car category for the second straight year, were the only winners among domestic brands. The Toyota Camry won its fifth top pick in 20 years in the midsize car category, while the Toyota Sienna nabbed the top minivan honor from the Honda Odyssey. 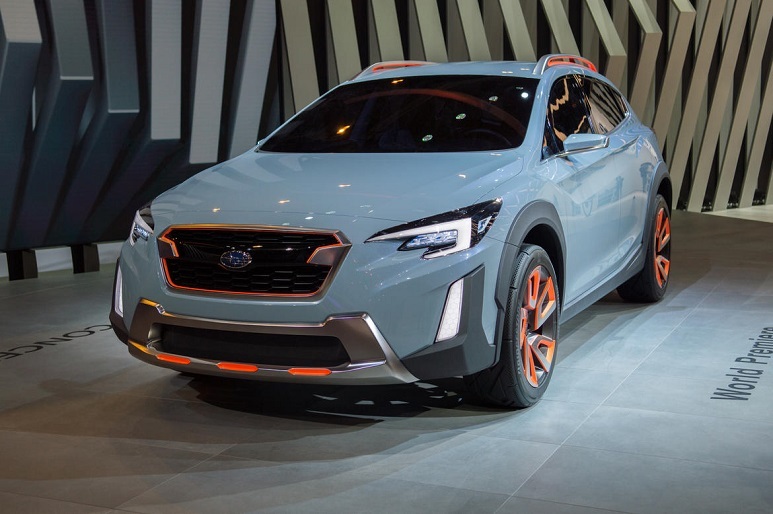 Subaru also received two top picks, with the Impreza and Forester winning the compact car and small SUV categories for at least the third consecutive year. The Kia Sorento was named top midsize SUV, replacing the Toyota Highlander, while the Lexus RX was given the top luxury SUV pick. “Lexus created the luxury crossover segment almost 20 years ago, and its dominance hasn’t diminished since,” the magazine said. The Mazda MX-5 was named top sports car, while the Honda Fit was selected top subcompact car. Consumer Reports did not name a best overall vehicle, which was awarded to the Tesla Model S last year. Looking this list over, I have to commend Consumer Reports, this is pretty accurate of how the different brands line up. Although, Audi being #1 is kinda odd. Clint has really done great job. In Co...everything is Subaru or a Jeep and I have both. I feel right at home. Clint...I need Member deal on a STI strut brace that fits Frankenwagon....I'll drive South to the "Springs"...anytime. Photo opp...???? Hi Traildog, did you get in touch with parts to get your forum discount ? If not I'd be happy to reach out them for you. PM me, or email me at [email protected] and let me know how I can help. I hope that Subaru heard the feedback from the WRX concept vs reality, and keeps this one a little more radical this time around. Good, very good to know. I am still not ready for it. But when I am, I will get in touch. QUOTE=traildogck;3784001]Good, very good to know. I am still not ready for it. But when I am, I will get in touch. Subaru just closed their best first quarter ever ! Thanks for contributing to that success Outback owners ! That brings Subaru to a grand total of a whopping 132,397 units moved in the first quarter of 2016, up 0.9% over the same period last year. March was also historic for Subaru as it marked the 25th straight month of sales in excess of 40,000 units. It also marked the 52nd consecutive month of month-over-month sales gains.